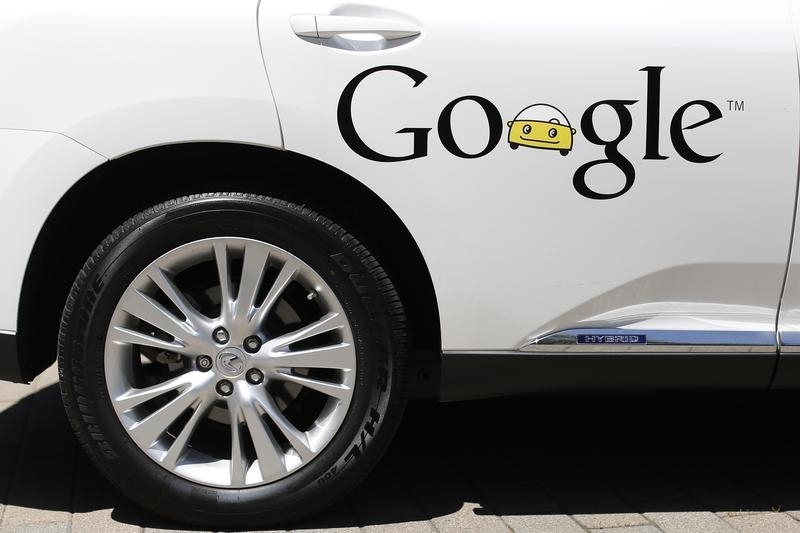 A Google self-driving vehicle is parked at the Computer History Museum after a presentation in Mountain View, California May 13, 2014. Entities affiliated with Alphabet, the parent company of Google, hold a 5.2 percent stake in Uber Technologies or nearly 71.1 million shares, according to the ride-hailing app’s draft initial public offering prospectus filed on April 11. Alphabet subsidiary Waymo, which works on self-driving technology, has another 5.1 million convertible preference shares as the result of a lawsuit settlement in 2018. Ongoing disputes over Waymo’s intellectual property could result in licensing fees or required design changes for Uber, the company said in the filing. Uber also paid $58 million from 2016 to 2018 for services related to Google Maps, in addition to $702 million in that same period for advertising and other services. Separately, Alphabet-related entities own 5.3 percent stake of Lyft, the rival car-hailing app that listed its shares on March 29. Lyft also relies on Google Maps and paid the search firm $208 million from 2016 to 2018 for ad and other services.